Approaching my mother's apartment building, I spotted a purple crocus in full bloom. It cheered my heart to see this little flower announcing the arrival of Spring. Over at Camy's Loft, she's posted an unusual recipe for chocolate cake in a mug. I haven't tried it yet, but thought all of you would find it a fun (and delicious) project. With all the bad news out there, I'm happy to report some positive developments. Abingdon Press is launching a Christian fiction line in late summer. Thanks to my friend, Jill, for providing the link to this Publisher's Weekly article. Tiff Colter's Balanced Life newsletter appeared in my inbox last week. Her website provides tips on weathering financial difficulties. The articles ranged from a money-saving recipe, a new twist on the magic of compound interest, and announcements on future webinars. Sign up for her newsletter and start receiving her practical, easy-to-understand wisdom. 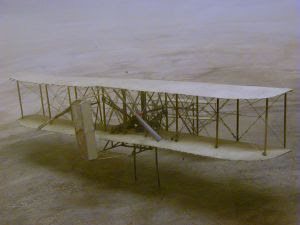 Many people tried to invent an airplane prior to the Wright Brothers. Some of the experiments were downright funny. We laugh when we see the homemade wings and people flapping their arms as they jump from a roof. As writers, we sometimes slip from the hard work/trusting God mode into the striving/trusting our own strength and abilities mode. We rush around, try to imitate everyone else, and forget that God has a unique plan for our lives. Our bodies and minds send signals that we're burning out. Discouragement, frustration, depression, and physical symptoms bombard us. They're screaming, "Pay attention. You're flapping your arms." Father, when we get wrapped up in our own plans, in our own way of doing things, please give us a gentle reminder to stop and consider our actions. A big Christian Writer/Reader Connection cheer for Jaime! 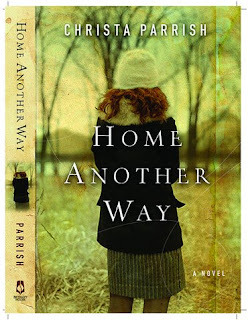 You've won the drawing for Christa Parrish's debut novel, "Home Another Way." Lauren Woodman returns to her hometown of Tipton, Vermont, with her son, Toby. She's in the process of building a business and settling her child into a new environment when a snowstorm brings Wes Evans into her life. Both Lauren and Wes have a past that haunts their every waking moment. They've learned to forgive others, but can they forgive themselves and move on with their lives? "Along Came Love" is more than a sweet love story. Carrie explores how secrets can cause heartache and misunderstanding. She communicates the angst both Lauren and Wes suffer and the necessity for honesty in a relationship. This book not only had me rooting for Lauren and Wes, but ministered to some painful areas in my own life. Thanks Carrie. Before ol' man winter could return and smack us with another storm, Mom and I took full advantage of last Saturday's brilliant weather. Yes, I took a day to relax. No working on the Great American Novel. 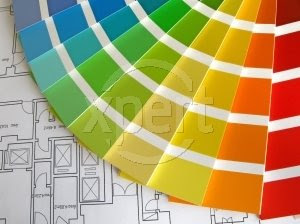 No feverish (and seemingly futile) attempts to paint the back bedroom. Instead we prowled through a Farmer's Market and an Antique Mall. Although we didn't buy a thing, we enjoyed each other's company and the balmy weather. Speaking of the weather, if you need a little sunshine, pop over to Christian Fiction Online Magazine. Randy Ingermanson a.k.a. Randy Rooney's latest encounter with Sam the Plumber provided a hefty dose of side-splitting humor. Valerie interviewed Liz Curtis Higgs, who appears on the cover, and Jim Rubart illustrates the biggest mistakes authors make with their websites in his article, "Quantum Marketing." And now, the answer to yesterday's test. 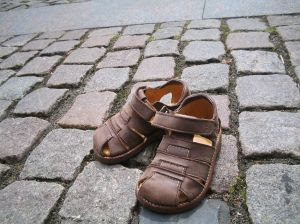 Lift your foot, move it clockwise. Draw the number "6" with your right hand, BUT...start with the loop. Since you're moving in the same direction as your foot, it will continue to move clockwise. Finally, Christa Sterken's short, but powerful, blog post, "Living By Default," will get the wheels turning in your mind. 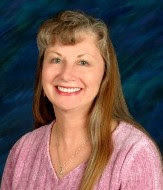 Kathi Macias is a multi-award winning writer, who has authored nearly 30 books and ghostwritten several others. A former newspaper columnist and string reporter, Kathi has taught creative and business writing in various venues and has been a guest on many radio and television programs. A popular speaker at churches, women’s clubs and retreats, and writers’ conferences, she recently won the prestigious 2008 member of the year award from AWSA (Advanced Writers and Speakers Association) at the annual Golden Scrolls award banquet. Kathi “Easy Writer” Macias lives in Homeland, CA, with her husband, Al, where the two of them spend their free time riding their Harley. 1) How did your writing journey begin? I ADORE books and read voraciously as a child. As a teenager, I told my boyfriend (now my husband) that I was going to be a writer someday. I worked on the school newspapers, won some poetry contests, but then got sidetracked being a wife and mom. After becoming a Christian at the age of 26, I went back to school, studying journalism at USC and taking a three-year Bible course at a local college. In the meantime I worked on church newsletters and became a newspaper columnist and string reporter. Eventually I made the switch to Christian publishing by landing a job at Gospel Light/Regal Books in my hometown of Ventura, CA. The rest, as they say, is history. 2) I see you write both non-fiction and fiction. Have you found this difficult in terms of developing an audience? What kinds of marketing efforts are working for you? Great question! It is quite a balancing act, I’m afraid. 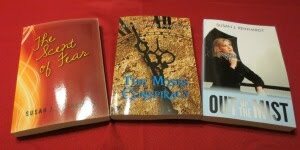 It’s a bit easier to establish a fiction audience, though even my novels are varied in scope and focus. But the nonfiction is really tough because I’m not an “expert” in any particular field. I do a lot of radio interviews and am currently getting ready to do an extensive TV tour, but primarily I use the Internet—book trailers, blog tours/interviews, posting related articles on Crosswalk, etc. Without a doubt, Crosswalk is one of the most effective means of staying visible on the net, and my book sales are always boosted by a new Crosswalk posting. Speaking at women’s groups, writers’ conferences, libraries, and civic groups are also excellent means of exposure and book sales. 3) Is there a common theme that runs through your fiction and non-fiction? Yes. Though there is always an evangelistic thrust in everything I write, I also have a desire to “preach to the choir,” meaning I desperately want Christians to move beyond being satisfied with a comfortable existence in this life and fire insurance in the hereafter. Whether I’m writing a serious discipleship book like Beyond Me or a humor book like, "How Can I Run a Tight Ship When I’m Surrounded by Loose Cannons," or even my upcoming, “Extreme Devotion,” fiction series, my heart is to encourage Christians to “take it to the next level.” As expressed in my, “Beyond Me” book, there is so much more…beyond self! 4) What are you working on at this time? I am currently busy marketing my two recent releases (mentioned in the previous question) and the two releasing in April, a novel titled, "My Son John," and a gift book titled, "Mothers of the Bible Speak to Mothers of Today." In addition, I am under contract for five novels, all to release between January 2010 and January 2011. Four of them are a series—the first venture into fiction for New Hope Publishers—with each book loosely based on the real-life story of a believer in another land, who is persecuted and/or martyred for his/her faith. The fifth novel is a stand-alone historical book to be co-authored with Susan Wales (wife of movie producer Ken Wales of “Pink Panther” and “Amazing Grace” fame) titled “First Allegiance,” scheduled to release in Fall 2010 from Abingdon Press. I also write articles for various online and print publications. All of this makes for a very busy 2009!